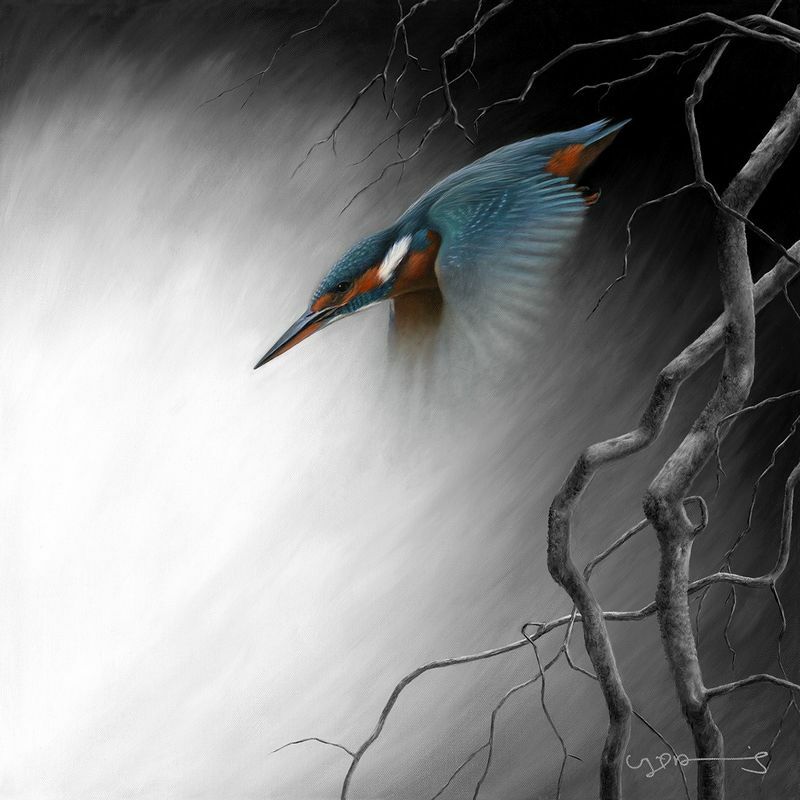 This new limited edition release for 2014: 'In Flight - Kingfisher,' demonstrates clearly that Nigel's ability lays beyond just painting dogs and that he clearly has a very special talent for birds. 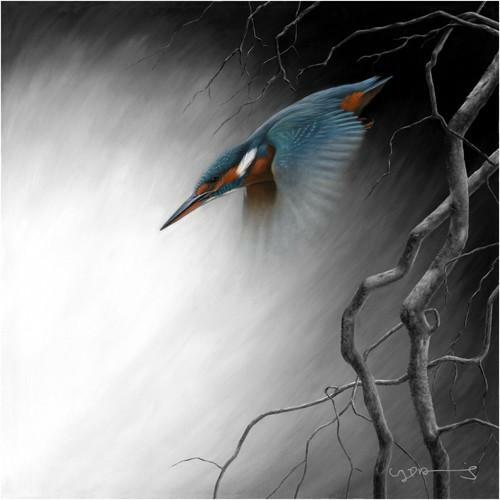 This follows on the heels of his late 80s/early 90s limited edition simply called 'Kingfisher' (which is on our website) and proved a huge seller at the time of its release, capturing every nuance of the bird in flight. I am sure this new release will prove equally as popular.